Experience the magic, fun and adventure of Alice in Wonderland like never before in this new Masterpiece Edition 2-Disc set. Join Alice as she falls into the madcap world of Wonderland and meets extraordinary characters such as Tweedledee and Tweedledum, the Mad Hatter, the Queen of Hearts and the frantically late White Rabbit. And the fun continues with new bonus features including the Virtual Wonderland Party, the newly discovered Cheshire Cat song "I'm Odd," Mickey's Thru the Mirror animated short, plus sing along songs and all-new games. 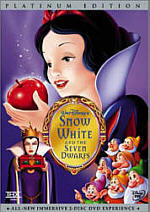 Your family will want to experience this timeless Disney masterpiece again and again! Over the years, 1951’s Alice In Wonderland developed a reputation as one of the weaker Disney animated features. Not only do I disagree with the negative assessments, but I actually find it to be one of Disney's best films. Alice differs from the typical fare, which may be one reason for its less-than-welcome reception, but that's part of the reason I like it so much. Because I never read the Lewis Carroll books, I can't provide a direct comparison of how well Disney adapted the tales. Frankly, I believe such examinations are fairly useless in most cases. I don't care if a movie perfectly resembles its source or if it seems radically different; I judge the film on its own, not how well it duplicates other material. Nonetheless, I believe many of the criticisms of Alice stem from the fact that Disney did too much to tame the books' anarchic spirit. 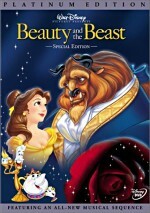 That said, the movie stands as one of Disney's most irreverent and least "heart-warming" films, at least for the era. I honestly think it seems ahead of its time in that it presented a more daring and glib exterior than we'd see until more recent pictures like Aladdin or Hercules. Alice doesn't provide the best animation Disney has to offer, but I think the film provides a pleasing visual look. It differs from the classic appearance we associate with the Carroll books, but it really needed to do this or else the comparisons would have been even more withering. The movie probably could have looked less "cute", though in a perverse way, the sweet look of the characters makes their oddness stand out even more. 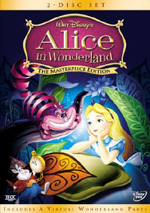 Alice In Wonderland appears in an aspect ratio of approximately 1.33:1 on this single-sided, double-layered DVD; due to those dimensions, the image has not been enhanced for 16X9 televisions. While the original Alice DVD from 2000 looked quite good, this one presented a slightly stronger picture. Sharpness seemed consistently strong, as most of the picture appeared nicely crisp and well-defined. On a few occasions, I encountered some very mild softness during wide shots, but this remained infrequent and minor. Moiré effects and jagged edges caused no concerns, and I noticed no signs of edge enhancement. As for print flaws, I detected a single speck at one point. Otherwise the image was clean and fresh. Colors largely appeared bold and vibrant, but a few inconsistencies appear. I noticed during a couple of scenes that used colored lighting during which the hues looked a bit heavy and weren't as smooth as they should have appeared. However, those instances were small, and the colors usually looked vivid and lively. Black levels seemed nicely deep and dark, and shadow detail was fine. Contrast was solid as well, as whites were pure and clean. I found it hard to believe that Alice came out more than 50 years ago, as the image never betrayed the flick’s age. Although the Dolby Digital 5.1 soundtrack of Alice In Wonderland occasionally showed its age, it seemed pretty solid given the constraints of the era. The soundfield stayed pretty close to the center. Virtually all singing and dialogue emerged from the middle speaker, and most effects remained there as well. It was largely the music that expanded to the forward right and left channels, with some light reinforcement of the tunes in the rears. At no point did I note any particularly discrete audio from the front or rear sides; the music in the forward speakers offered a mildly stereophonic impression, but I couldn't point out a single instance in which I heard a particular distinguishable sound from any of the side speakers. The surrounds definitely presented no discrete audio, and one would be hard pressed to hear anything of note from them. Audio quality seemed more than fine for its age. Considering the era, speech sounded pretty natural and firm. The lines were slightly thin but not in the least bad given the circumstances of the period. They lacked any edginess and were consistently crisp and intelligible. Music failed to demonstrate great range but seemed acceptably smooth and clear. I wouldn’t call the score and songs rich or vibrant, but they seemed pretty distinctive for material from 1951. Effects followed suit and sounded clean but unexceptional. I noticed no distortion and thought they represented the original audio well. Bass response mostly seemed modest but acceptable for the era. However, during a few scenes – particularly the Walrus and the Carpenter – low-end material became a little too prominent, mainly because the bass was somewhat loose and boomy. This made the low-end a little distracting and unnatural. The remainder of the track lacked those problems, though, and the mix seemed above average for its age. The 5.1 mix also improved upon the 5.0 track from the 2000 DVD. It seemed better focused, as the old disc demonstrated some mildly loose localization at times. It also sounded richer, for it lacked the original release’s generally thin qualities. The 2003 DVD’s audio didn’t dazzle me, but it worked pretty well overall. While the prior DVD included only a few extras, this new 2-disc “Masterpiece Edition” offers a more substantial roster. Some of these appeared on the prior release. I’ll note those with an asterisk. DVD One opens with a Virtual Wonderland Party. Aimed squarely at the kiddies, this presents a mix of interactive activities. Live-action actors portray Alice, the Mad Hatter, and the White Rabbit as they join some moppets in videotaped escapades. The performers sing and play games. I guess kids in the audience are supposed to join in, but it seems like they’ll mostly just watch, as many of the activities don’t really include a lot of participation. Another interactive piece appears via the Adventures in Wonderland set-top game. This involves three areas. The first presents some fairly easy riddles, while the other two throw annoying and random guessing contests at us. The reward if you finish it? A clip from the movie! No thanks – if I want to watch it, I’ll just go to chapter search. “Adventures” is a tiresome waste of time. A more interesting component comes with ”I’m Odd, a “newly-discovered Cheshire Cat song”. Voice actor Kathryn Beaumont discusses some elements of the movie’s musical numbers and tells us about “I’m Odd”, a song replaced by “Twas Brillig”. This isn’t an actual deleted scene, and the performance comes from a new recording with an actor whose voices resembles Sterling Holloway’s; we don’t get anything done back in the Fifties. Nonetheless, it’s moderately interesting to hear this lost bit of the production. 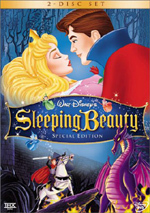 Two *Disney Sing-Alongs appear on the DVD. These show the respective scenes from the movie and accompany the tunes with lyrics at the bottom of the screen; the words show highlighting to indicate what to sing. We get "The Unbirthday Song" and "All In the Golden Afternoon" in this segment. This feature did absolutely nothing for me. Also found on the Mickey Mouse In Living Color DVD, Thru the Mirror provides a short from 1936. In this fairly surreal cartoon, we get a piece obviously influenced by the work of Lewis Carroll. The short generally works well. As the DVD starts, we encounter a mix of ads. We find trailers for Home on the Range, Brother Bear, Mary Poppins, and Mulan II. These also appear in the disc’s Sneak Peeks domain along with promos for The Lion King 1 ½ and “Disney Consumer Products”. Now we move to DVD Two, where we launch with One Hour in Wonderland, Walt Disney’s first attempt at a television program. Aired in 1950, this 59-minute and 22-second show stars Edgar Bergen and his puppets Charlie McCarthy and Mortimer Snerd along with Walt and Kathryn Beaumont. The program also includes guest appearances from actor Bobby Driscoll and Hans Conreid as the Magic Mirror. The latter character becomes the focus of the show; the guests make requests that he grants. Not surprisingly, these consist mainly of movie clips; we see 1937’s Mickey, Donald and Goofy short “Clock Cleaners”, a Pluto short for which I don’t know the name, plus parts of Snow White, Song of the South, and Alice. We also get a performance from the Firehouse Five Plus Two, the jazz band of Disney artists. Most of “Wonderland” comes in black and white, but the movie clips appear in color. The show seems pretty complete, as it even includes the amusingly tacky Coca-Cola commercials that were integrated into the program; it’s a kick to hear the Magic Mirror espouse the wonders of Coke. Despite its reliance on film snippets, “Wonderland” is a fun piece of history. We go way back for the next component, an “Alice Comedy” from 1923 called Alice’s Wonderland. Disney made his first dent on the industry with these silent combinations of live action and animation. This eight-minute and six-second short presents a very young Walt with actress Virginia Davis as she sees artists create animation and then dreams about similar escapades. It’s not very entertaining 80 years later, but it’s a great historical element to see. More archival materials arrive with *Operation Wonderland, an 11 minute and eight second TV clip from 1951. Although it's little more than a primitive version of today's featurettes - otherwise known as "glorified trailers" - I enjoyed the piece simply because it provides a little behind-the-scenes action from the Disney studios of the early Fifties. Walt leads us through some rudiments of the production. The best parts show Ed Wynn, Jerry Colonna and Kathryn Beaumont as they act out a scene as models for the artists. The emphasis remains largely promotional in this program and much of the running time consists of movie clips, but it's quite entertaining nonetheless. We remain in 1951 with an excerpt from The Fred Waring Show. Aired on March 18, 1951, this 30-minute and 55-second piece promotes Alice via a few different sequences. First Walt chats about the flick and shows us a snippet. Then we get a live-action recreation of some songs. Mostly these feature anonymous actors in the various roles, but Beaumont shows up as Alice and Sterling Holloway reprises the Cheshire Cat. Waring also chats a little with Beaumont and Holloway about their work on the film and shows another clip. Objectively, it’s fairly lame – at least while we watch the live-action presentation - but it remains an intriguing piece of historical material. Two trailers appear. We get the ad for the movie’s original release in 1951 plus another for a 1974 reissue. We also get two Walt Disney TV Introductions. One comes from 1954, while the other stems from 1964. Both of these lead in to TV airings of Alice. The first lasts 80 seconds, while the second runs 69 seconds. Actually, despite the variation in length, they’re very similar, and they offer another cool addition to the set. A few components pop up in the “Deleted Materials” domain. Hosted by Kathryn Beaumont, From Wonderland to Neverland: The Evolution of a Song provides a six-minute and 49-second featurette. It follows “Beyond the Laughing Sky”, a number originally intended for Alice, as it transmogrified into “The Second Star to the Right” from Peter Pan. We then hear two demos of “Sky” accompanied by concept art for Alice. It’s an interesting examination of an alternate possibility. Next we find a Deleted Storyboard Concept called “Alice Daydreams in the Park”. Filmed as a running piece, this lasts 121 seconds. We see sketches accompanied by music that depict an alternate vision of the flick’s opening. It’s not as compelling as the unused song, but it’s worth a look. Speaking of music, this domain ends with Original Song Demos. These include rough versions of “Beware the Jabberwock”, “Everything Has a Useness”, “So They Say”, “Beautiful Soup”, “Dream Caravan”, and “If You’ll Believe In Me”. The quality sometimes seems rough, but it’s very interesting to hear these early musical concepts, especially since a few involve characters who don’t appear in the final film. Finally, we head to the Art Gallery. This presents 59 stills. They include concept art, character designs, photos from the production, and promotional art. It’s a small but useful collection. I'm in the minority, but I find Alice in Wonderland to be a very entertaining Disney film. It's funnier and quirkier than most, especially for its era. The DVD offers excellent picture quality along with solid sound and a very nice complement of supplements. I highly recommend Alice, and this new “Masterpiece Edition” seems suitable for fans new to the flick and those who own the prior DVD; this package merits an upgrade.